Knitted Sneakers Just $14.99! Down From $40! Shipped! 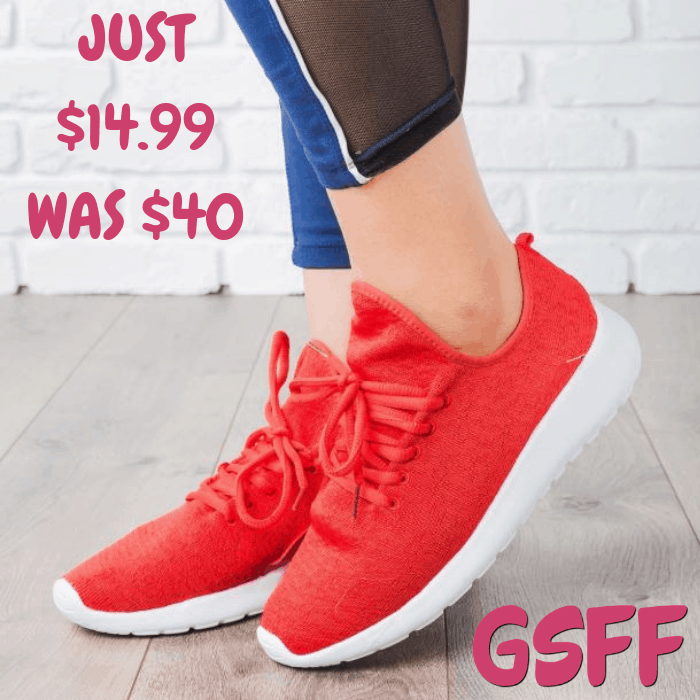 You are here: Home / Great Deals / Knitted Sneakers Just $14.99! Down From $40! Shipped! Until February 4 only! Jane has these Knitted Sneakers on sale for just $14.99 down from $39.99 PLUS FREE shipping! Give your daily workout a go in these cute and comfy knitted velcro athleisure sneakers! They are made with a flexible knitted material that is perfect for everyday wear. Features include a cute side velcro detail, cushioned insoles, and an athleisure lace-up style. Pair ’em up with your favorite workout attire!